Ultimaker’s premium 3D printers were designed through open source collaboration. They are extremely reliable and they are enjoyed by professionals all over the world, particularly in business and school environments. 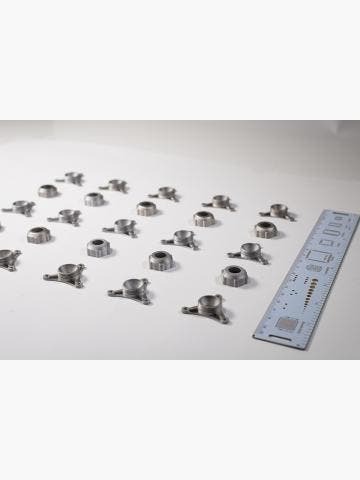 We stock all of Ultimaker’s 3D printers as well as ABS and PLA filaments. Discover the range below, or give our team a call on 01765 540 115 or email us at web@goprint3d.co.uk if you require any help with your purchase. Simplicity: The Ultimaker 2+ is super-easy to set up and use. Based on the multi-award winning Ultimaker 2, the Ultimaker 2+ has been upgraded to produce more detailed and higher quality prints. Offering a build volume of 223 × 223 × 205 mm, a layer resolution of 600 to 20 micron and print speeds up to 24 mm3/s, the Ultimaker 2+ is a professional-grade 3D printer for demanding environments. It uses an open filament system, so you aren’t tied into any filament brand; any quality ABS, PLA or CPE will do; and your experience is enhanced with access to Ultimaker’s global open source community. Powerful new features for incredible results. 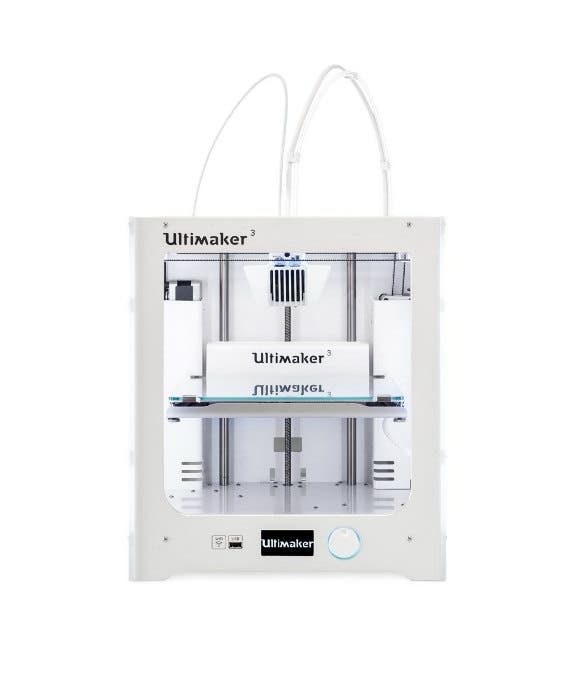 The Ultimaker 2+ is more than just an upgrade to its predecessor. It has a range of new features that have been implemented as a result of user feedback. 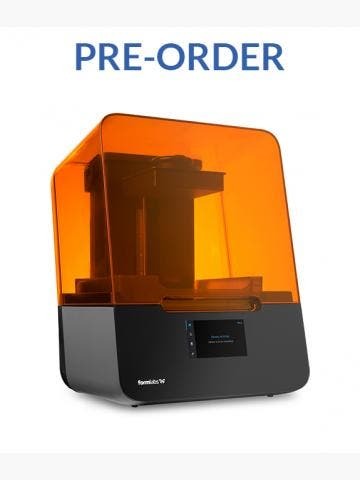 These include a new geared feeder that allows you to easily swap filaments and change filament pressure, a swappable nozzle system that lets you easily swap nozzles to increase accuracy or speed, and a new airflow system that ensures air is aimed directly below the nozzle to improve print consistency and smoothness. Here are some of the common questions we get for Ultimaker 2+, if you have any more questions, please don't hesitate to email web@goprint3d.co.uk or phone 01765 540 115. Does it work well with flexible filament? The Ultimaker 2+ has had a lot of improvements over the Ultimaker 2, one of which is the new geared feeder system which means printing in flexible filament is now much easier. 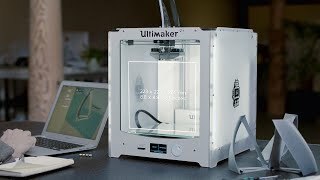 Founded in 2011, Netherlands-based 3D printer manufacturer Ultimaker is one of the main players in the desktop 3D printer market. 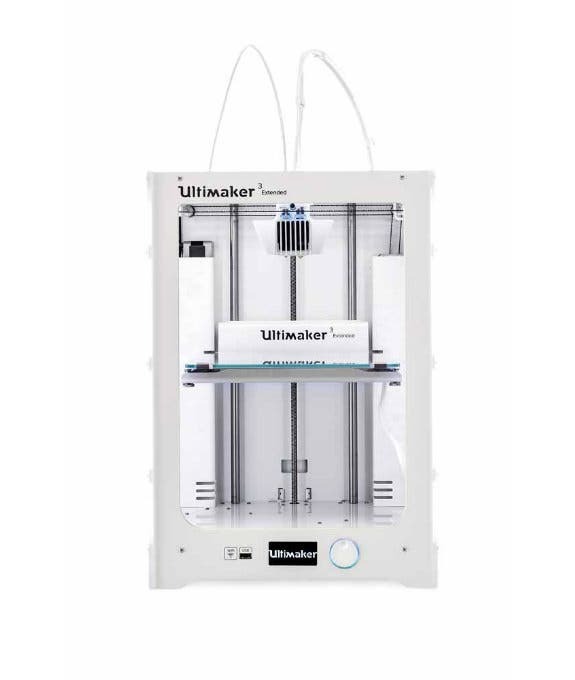 Ultimaker 3D printers all utilise fused filament fabrication (FFF) technology with the company committed to being open source. 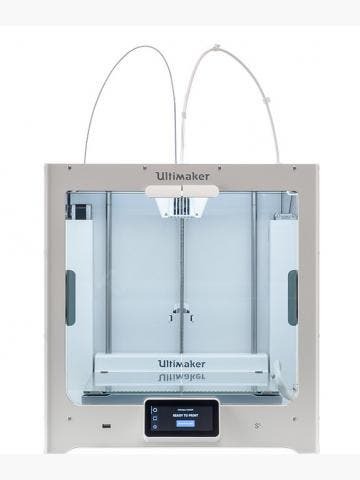 Ultimaker started selling 3D printers in May 2011. Their first printer, the “Ultimaker”, paved the way for all other models that succeeded it. 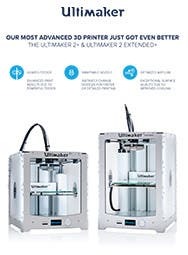 Ultimaker’s current range of desktop-class 3D printers includes the Ultimaker Original+, Ultimaker 2 Go, Ultimaker 2+ and Ultimaker 2 Extended+. The Ultimaker Original+ is a DIY kit for makers who want to hack and tweak their 3D printer. All other models in the Ultimaker range come fully preassembled, ready to be used in engineering, design and educational environments. 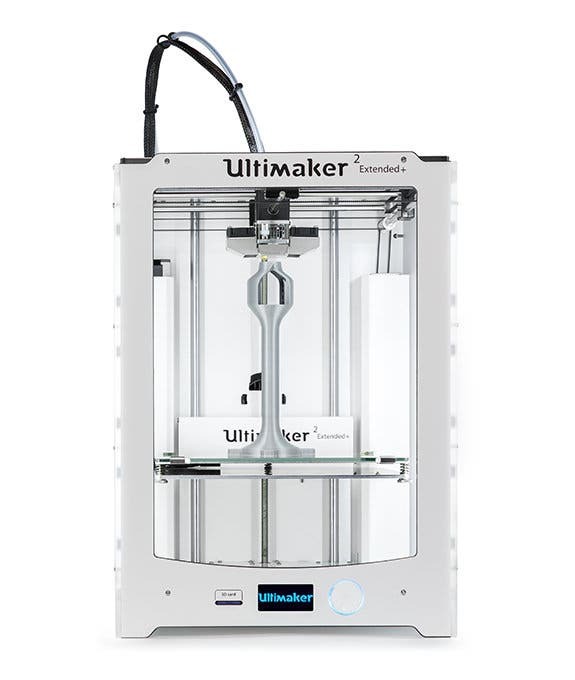 Ultimaker is committed to being an open source vendor. One can download and access each printer’s documentation and source files once they become available. This has enabled Ultimaker to innovate and update their line of printers over the years, and their community has had a significant input into the new features that have found their way into Ultimaker’s new 3D printers. For example, the swappable nozzle system and geared feeder motor found in the 2016 ‘Plus’ range of 3D printers are so because of user and community feedback.